If a number is clicked, the introduction page of each district can be seen. 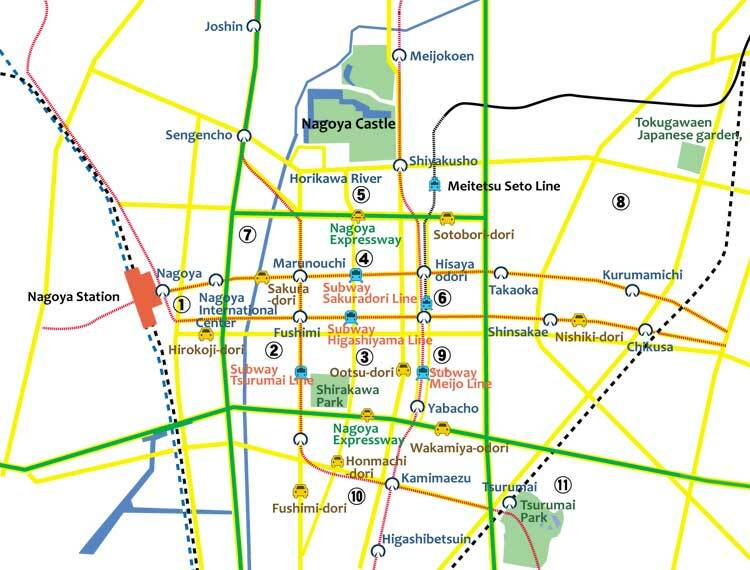 The Nagoya Castle downtown area was built by Tokugawa Ieyasu when Nagoya Castle was built. The south in Nagoya Castle was learned from Kyoto, and was divided squarely, and it was considered as townspeople's dwelling. The outside was made into the zone in which a samurai lives. Furthermore, the temple has been arranged on the outside and it prepared for an enemy's invasion.